← Ubuntu geinstalleerd. En dan? Let’s start with a very small introduction: I work at the st. Antonius hospital in the Netherlands as head of the internal software development department. We build internal software and work on a lot of different projects. What I needed was a good project management tool so I looked at a couple and decided to go ahead with LibrePlan. I developed a training manual, trained some of my people how to sue it and now we plan projects in LibrePlan. We also use Jira for our bugtracking and a dutch program called Timn Enterprise for our worksheets. We use labels in Jira to tag issues that belong to the same project. I want to be able to start a new project in LibrePlan and have it import all the issues with the same label into the Work Breakdown Structure (WBS) so I can plan the work and assign resources to it. I want to have my people who work on an issue to enter worklogs in Jira and use that information to get an indication of the project progress in LibrePlan. I want the worklogs in Jira to be send to Timn to prepopulate the worksheets and I want the approved holdays out of Timn into LibrepLan as resource unavailability. I thought it would be cool of we could connect the three programs (Jira, LibrePlan and Timn). One of my guys is good in Java so I asked him to start on this venture since he was in between other projects. 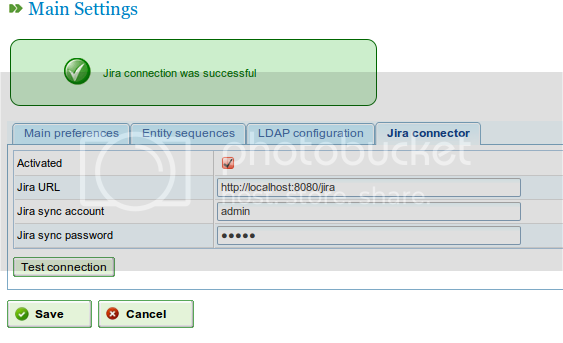 At first Miciele build a configuration option into LibrePlan to enter Jira url and login credentials and a test button so you could see it the connection was succesfull. Now it was time to really build something. Using the PHP script we have a nice autocomplete form to enter the label. There are 2 changes in the WBS screen below. The amount of hours is read-only because we will start with a simle one-way sync. So if you want to update the hours you can do that in Jira. 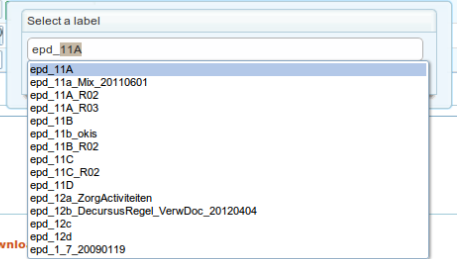 Next we will import the Jira worklogs to get a progress indication in LibrePlan. If that all works we will finalize the first phase and submit a patch to the LibrePlan community for inclusion in the code. Our phase 2 will revolve around making the connection to our time registration application Timn enterprise using SOAP. That is, if we get support on this from the supplier. We’ll see.